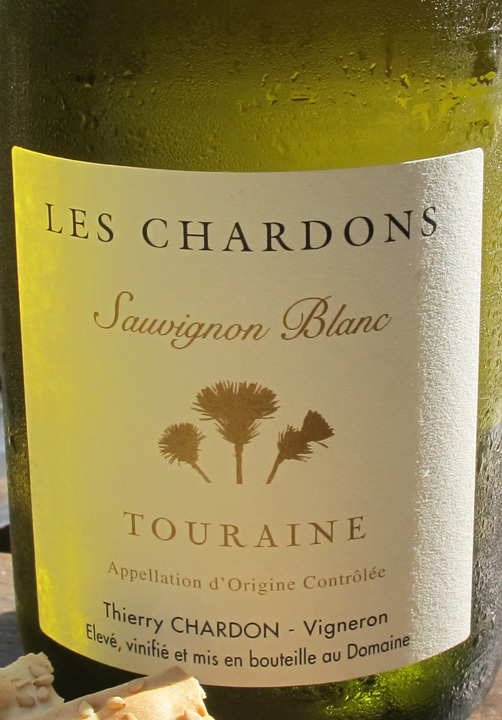 Deep golden straw in color with bright highlights, this wine has lush tropical fruit notes on the nose such as ripe pineapple, grapefruit peel and banana, along with a flinty minerality that comes through like a refreshing wave. With a touch of orange peel, citrus and hint of spice along, with subtle warm vanilla overtones, the mouth feel is round, smooth and lovely with a distinctly silky yet fresh, clean finish. Beautiful! I also loved that this bottle has a glass cork! 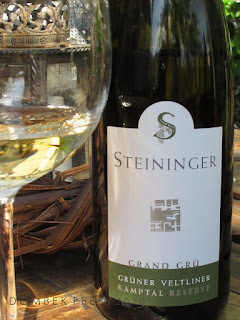 This Grüner Veltliner Grand Crü (French for “great growth”) is purportedly one for aging, and I can imagine the honey notes coming through even more distinctly with time. 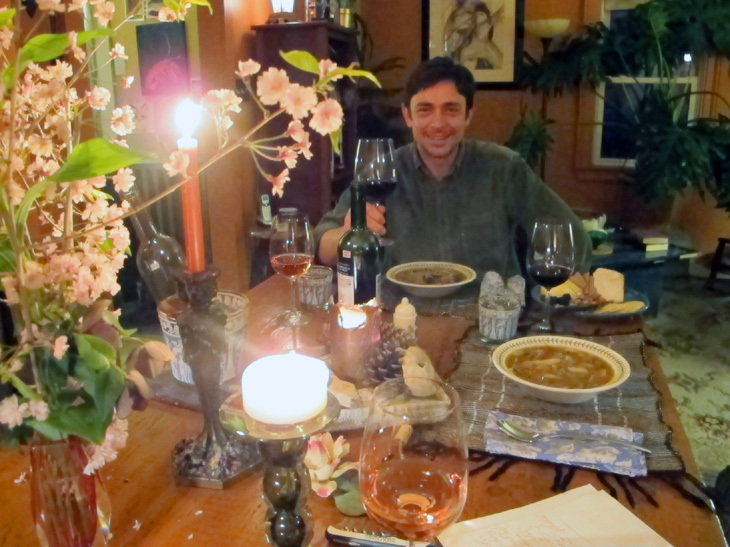 However, it was perfectly delightful to enjoy now, and that we did as part of my recent birthday celebration. Absolutely loved by all! We enjoyed with a selection of cheeses with fruits & nuts to start, followed by a pasta salad with fresh veggies, herbs, chicken & shrimp and artisan bread. Scrumptuous! Grüner Veltliner is the most important grape varietal in Austria, greatly appreciated as a fresh dry wine, as well as one with powerful long aging potential. The Steininger winery is family-run and situated in the wine growing village of Langenlois in the Kamptal Valley. This grape accounts for over 50% of their production and can be found in different styles, from light summer wines to powerful, voluminous full bodied wines and also dessert wines. 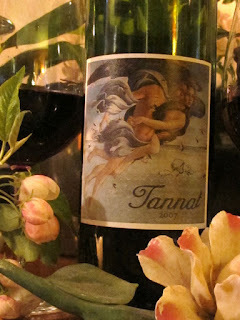 A favorite of John’s from Rosemont Market here in Portland, this is one of the wines he and Tabitha (CRUSH Distributors) discovered and brought back from their trip to Austria last February. Treat yourself! $27.99 a bottle at Rosemont. 30% Garnacha, 60% Cariñena, 10% Cabernet Sauvignon & Syrah. Deep red violet in color, this wine exhibits lovely perfume, earthy and woodsy notes on the nose, along with hints of cedar, cocoa and violets. Slightly dusty and soft, sensuous and smooth on the tongue, with beautiful luscious fruit such as currant, plum and dark cherry, even raisin and fig. After some time, coffee liqueur underlying, along with dark chocolate, juniper and incense. 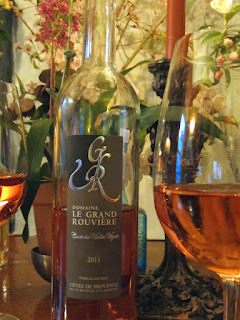 This opens slowly but gorgeously - with balance, depth and nice tannic structure. WoW! Winemaker Alvaro Palacios, who is said to embody “the promise and spirit of The New Spain”, was one of nine children born to the owners of Rioja’s respected Palacios Remondo. He studied enology in Bordeaux with Jean-Pierre Moueix at Chateau Pétrus, crediting his time there for imbuing him with his winemaking philosophy and showing him “the importance of great wines”. He chose the remote area of Priorat, located in the southern part of Spain’s Catalonia region (60 miles from Barcelona) to establish his vineyards. The terroir consists of steep hills and terraces of schist, evoking his experience at Pétrus. 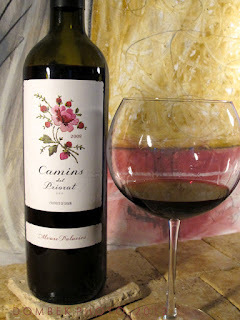 Camins del Priorat is preceded by some big and expensive “trophy wines” created by Palacios: Finca Dofí (only 1,250 cases!) 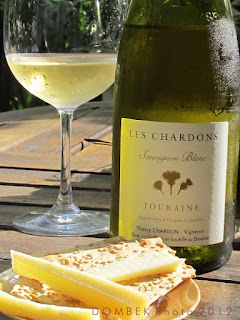 and Les Terrasses “Velles Vignes” (I would LOVE to try those!) Camins del Priorat is intended to be much more affordable and approachable. But how delicious and what ancestry! Aged 3-4 months in barrique, followed by tank and cask aging, totally unfiltered. In addition, 2009 is touted as a monumental vintage, “with the ripeness of 2003 and balance of 2008.” Try this one, it’ll knock your socks off! This wine is imported by Rare Wine Co., Sonoma, CA. and distributed locally by SoPo Wine Co., South Portland, ME. Find it for around $21.99 at RSVP on Forest Ave. and Rosemont Markets, Portland.